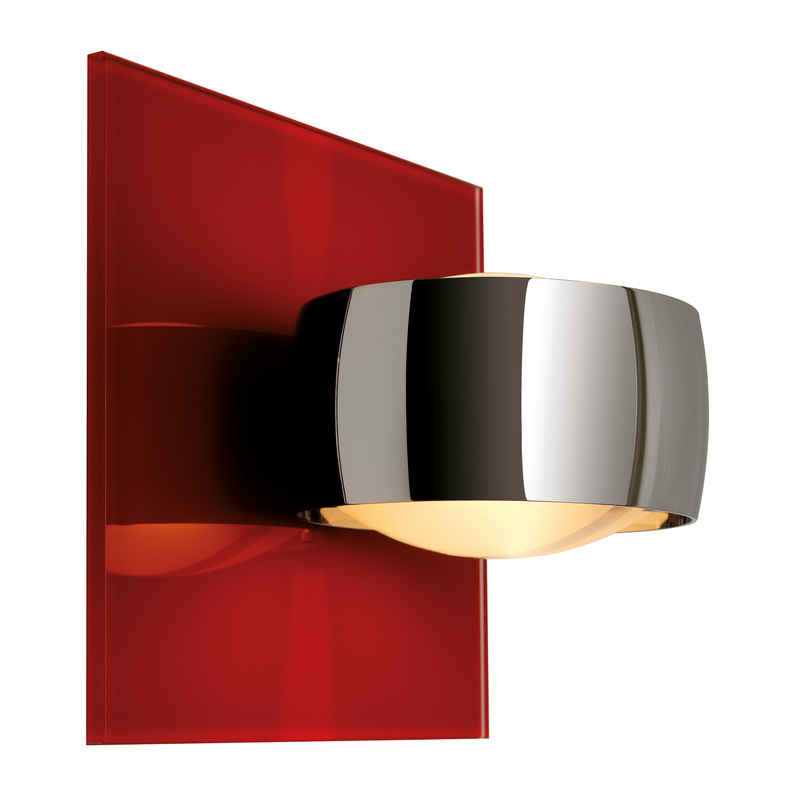 The wall lamp Grace Unlimited by Oligo is an extension of the wall and suspension lamps of the series Grace. When Grace Unlimited lamp you become a designer and create your own lamp together. The modular concept of Oligo Grace Unlimited wall lamp allows you an individual lighting and color design by choosing the individual components of the lamp. You can choose between six colored glass plates (white, tobacco, red, silver gray, gold leaf optics and black), five surfaces of the lamp head (white, brushed aluminum, chrome, matt silver and gold mat) three glass bowls (satin, partly frosted and clear) and light modifiers (one light outlet opening, double light exit opening and closing) choose. Overall, this results in over 13 000 different ways of designing an individual Grace Unlimited wall lamp. Imagine your dream lamp itself together - use the Unlimited components of oligo.